Why do you need printed flyers or custom business brochures? They continue to be a reliable marketing tool while being affordable and versatile. Great for any size business, custom brochures and flyers can be used to demand attention to your company, event, product or service. Hand them out while attending your next conference, trade show or easily place them on a store counter. 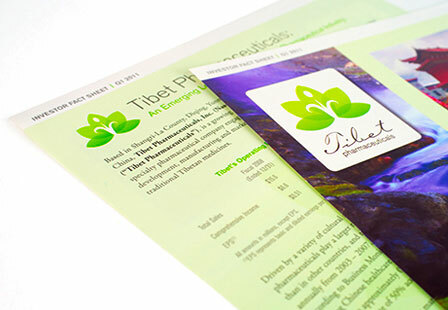 Other creating ways you can use print brochures and flyers include menus, recipes, resumes, maps and more. Choose from a vast selection of folding options including the classic Tri Fold, 4-Panel fold, Z Fold, Half Fold, and sizes to meet your marketing needs. Please Select 3.67" x 8.5" 4" x 8.5" 4" x 11" 4" x 12" 4.25" x 11" 4.25" x 12" 4.5" x 12" 5.5" x 8.5" 5.5" x 17" 6.25" x 9" 6.25" x 11" 6.5" x 9" 7" x 8.5" 7.5" x 8.5" 8" x 9" 8" x 10" 8.5" x 11" 8.5" x 14" 9" x 12" 9" x 16" 11" x 17" 11.5" x 17.5" 12" x 15"